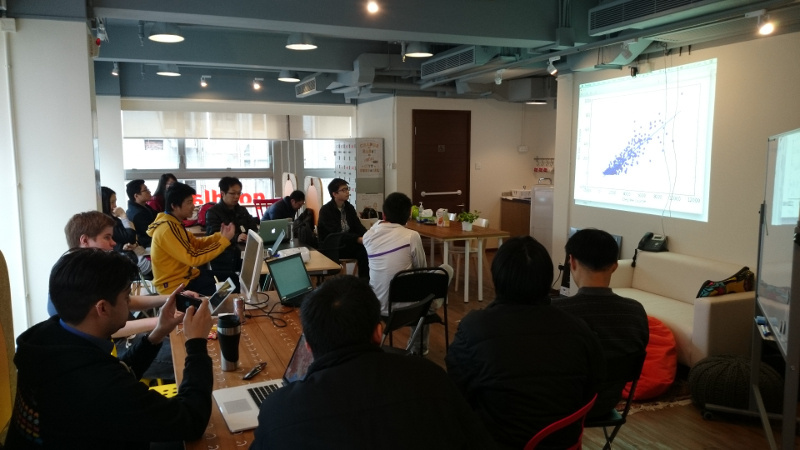 At Open Data Day 2014, we, Hong Kong Creative Open Technology Association (HKCOTA) organize a hackathon to continue open data hacking works, and anyone who interested to open data can join and share their opinions on different open data they concern. 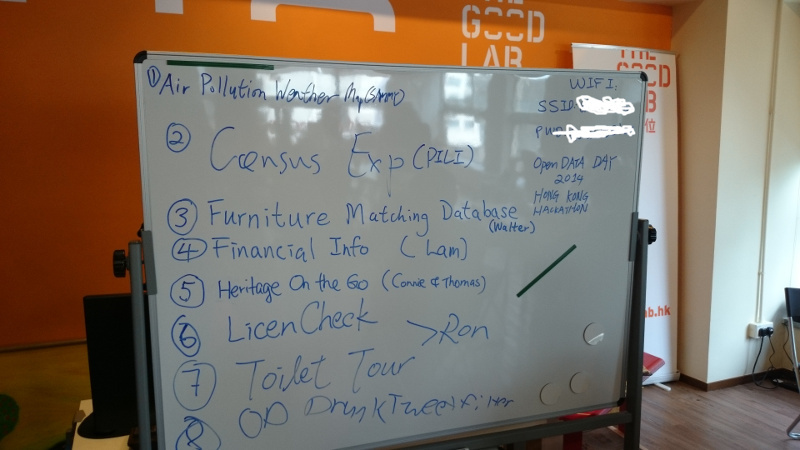 ODD HK Hackathon is started from 11 at The Good Lab’s new co-working space in Prince Edward, more than 20 persons joined and introduce the following open data projects they works on. 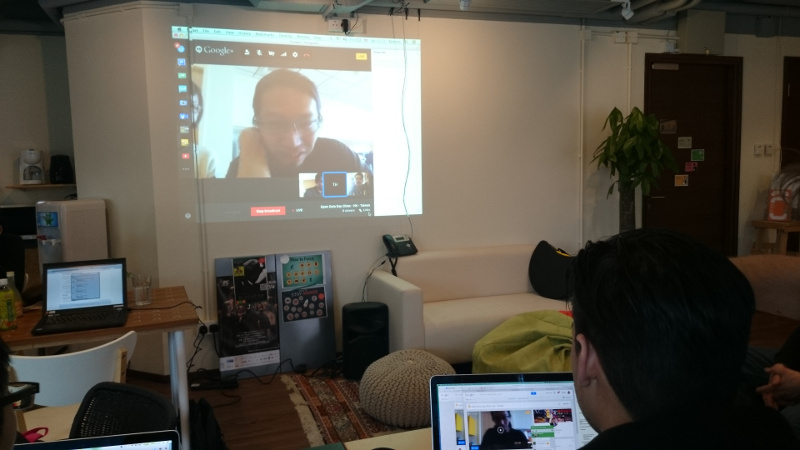 At 3pm, Bastien and Mart from ODHK started a ODD G+ Hangout with Taiwan (codefortomorrow) and China. And Project demonstrations were started from 5pm. This entry was posted in 科技 and tagged 開放數據, 黑客松 by Sammy Fung. Bookmark the permalink.